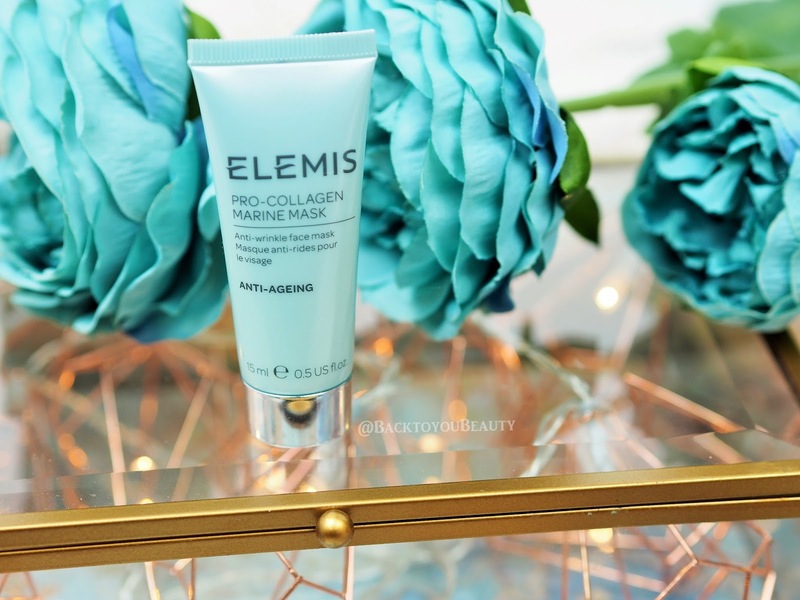 Elemis Pro-Collagen Real Results Collection – Your Skin But Better! Now, I don’t know about you but this Summer has been pretty hard-core. 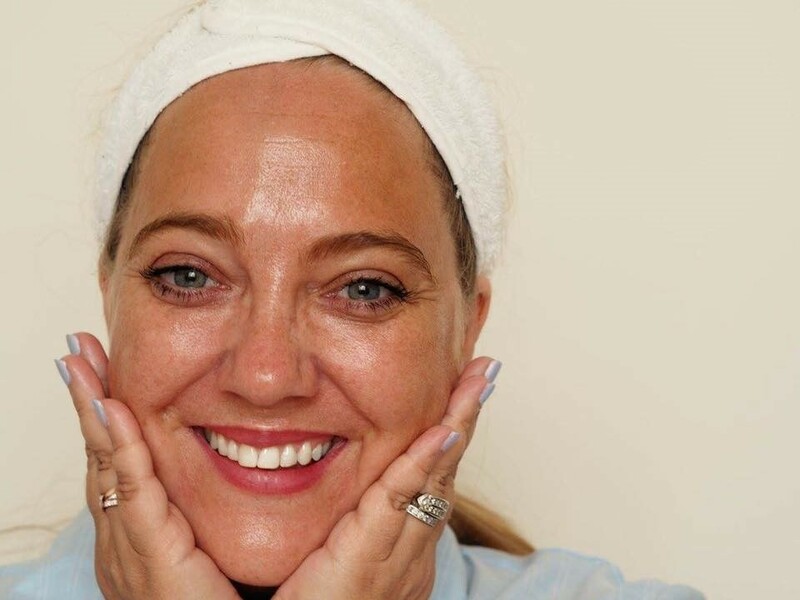 Whether you are a parent juggling the school summer holidays, a grand-parent lending a helping hand, or someone that has had to work through and battle the ever changing weather, it all takes its toll on our skin. As a busy working mum of boys, who only believe in thrill seeking activity holidays, i am shattered! Usually come September, instead of looking glowing and rested, i look like a bedraggled mess! Not this year! 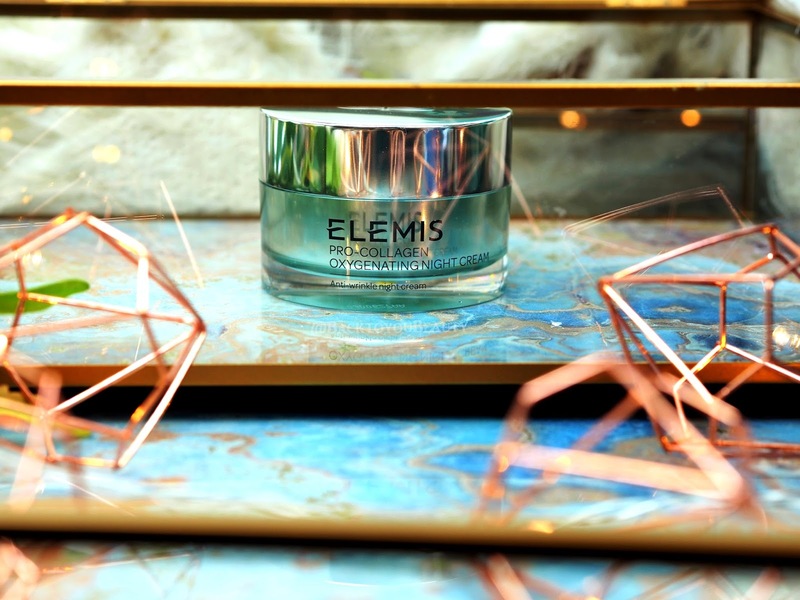 Thankfully for me i have been treating my skin incredibly well with the new Elemis Pro-Collagen Real Results Collection. Containing four incredible Elemis products from their award winning Pro-Collagen range, this collection is sure to feed and nourish your skin back to good health, before the cold weather of Winter comes, regardless of age or gender. 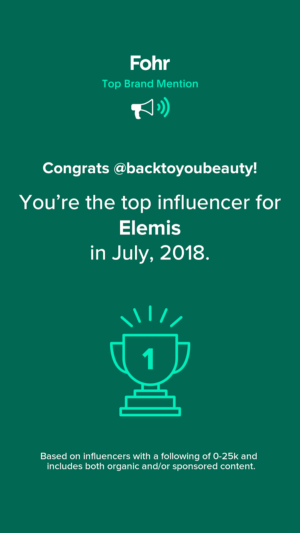 Whether you are new to Elemis or an ever devoted fan (Me! Me!) this range is scientifically proven to give you powerful, visible results, with smoother, firmer and dare i say it, younger looking skin. Who doesn’t want that? Below is a full breakdown of the products included in the collection and how i have been using them to see incredible results. Let us all just take a moment to appreciate the gloriousness of this product (is that a word? Haha ). Firstly the two tone glass bottle with its marine shades is stunning. If you are someone that loves your skincare to look as good as it feels then aesthetically you will not be disappointed, this is a range you will want to show off in your bathroom. 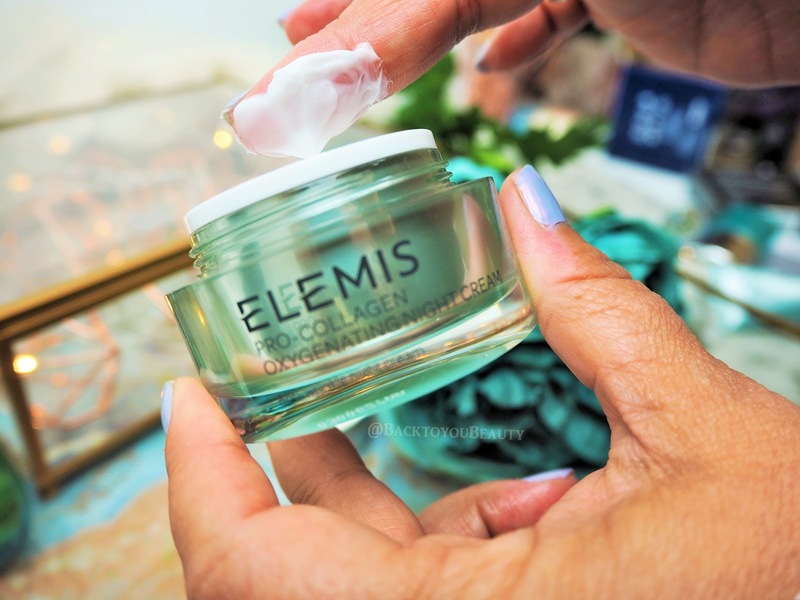 If you read one of my recent (and most popular) Elemis blog posts HERE you will know that i am OBSESSED with this new addition to the Pro-Collagen range. Formulated with a trio of seaweeds, Padina Pavonica, Golden Seaweed and Roaring Water Kelp this oil visibly reduces those fine lines and wrinkles whilst deeply hydrating and balancing the skins moisture levels. But, it doesn’t stop there! Containing the same aromatics that can be found in the Pro-Collagen Cleansing Balm : Orange, Clove, Lavender, Geranium, Eucalyptus and Chamomile – to name a few – this leads to the most beautiful experience upon application. Containing a combination of White Poppy Seed oil and Abyssinian Oil, this is rich in those essential fatty acids, whilst being an incredibly lightweight oil. Apply morning and evening before your serum and moisturiser, gently massage and pat into the skin, face, neck and decollete making sure to take a moment and breathe in the incredible aromatics. Any residue left be sure to apply to your cuticles and/or backs of the hands, do not waste a drop of this precious oil. For me, someone with super dehydrated skin, Summer and hot weather is always tough for my skin. On the days where i applied foundation, i added a drop of this oil into my foundation and smoothed it over my skin. Not only did this make my full coverage foundations apply easier and smother, but it drip fed my skin throughout the day. If you are a serious skincare junkie like me, it is also wonderful to apply before a face mask, as the mask will push the oil deeper into the skin. I cannot say enough great things about this oil, my skin looks plumper, brighter and very well rested. Its a beautiful thing. You really can tell so much from peoples eyes. This is one of the first places fatigue and illness will show up so it is super important to look after that delicate area. For me, i don’t mind a few laughter lines as i have lived a very happy life so far, but it is when they turn to those deeper, more ageing lines that you realise you should have taken better care of them. For me, an eye product is just as essential as my daily moisturiser. It has to be light, easily absorbed into my skin and work on my fine lines and dry – almost creapy skin around the eye area. 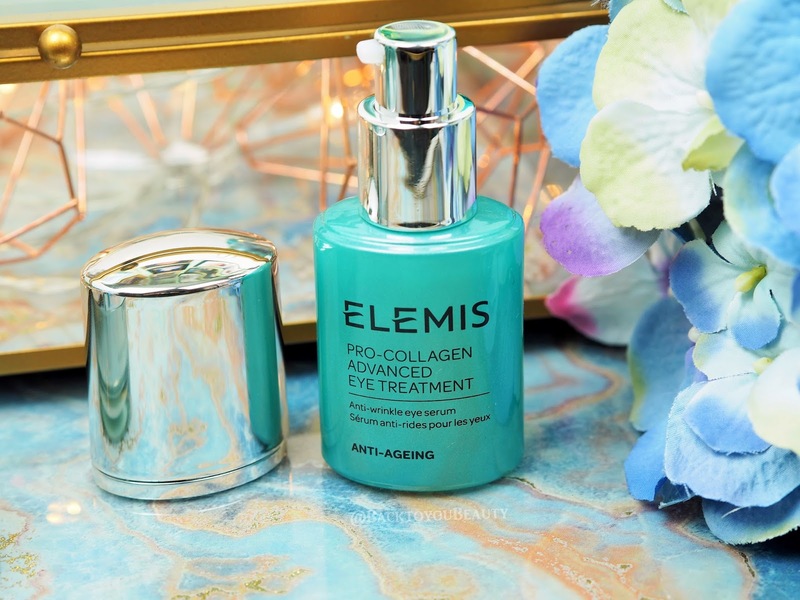 This Pro-Collagen Advanced Eye Treatment from Elemis is just perfect for all of the above. It is an incredibly cooling and fresh, super lightweight gel like consistency that almost melts into the skin. It instantly wakes me up and hydrates my whole eye contour area with a few taps. As someone that works on a computer all day, not only do i apply this morning and evening but i also leave it on my work station to freshen my eyes up when they are feeling tired throughout the day. Within days of first using this product my under eye area was more lifted and smooth, plus super, super hydrated and youthful looking. This was absolutely a life saver for me this summer due to lots of early mornings and active days, it kept me looking awake and fresh even if i didn’t feel it. Another tip, i apply this before applying my under eye concealer, i tap it in, leave it to dry and apply my concealer. This then means my under eye area is beautifully hydrated allowing my make up to sit better without cracking. For me, this is the product i see results quickest with. Containing super powerful ingredients such as the super active Padina Pavonica previously mentioned and Blue Flower Linseed to help tone the area. It doesn’t overload the skin, feel sticky or greasy, it literally absorbs and gets to work achieving incredible results. Add one or two pumps to the ring fingers and gently tap into the eye contours morning and evening. This 15ml size really lasts a long time too. Regular readers of my blog will know that this award winning product is my favourite night cream ever. EVER!! Yes, i am very fortunate to try many, many brands, but this always has been my favourite night cream and the one i turn to time and time again after i have been testing other products. Why? This is like my SOS, my comfort blanket, my safety net. This is a product that i know has my back when i have been unwell, exhausted or mentally and physically drained and my skin is playing up and looks grey and haggard. The benefits of using this product, to me, have been absolutely outstanding. I know i am gushing about a skin cream but this is like slipping into a clean bed wearing new pyjamas after a warm bath….its that ‘ahhhhhh’ moment as i apply it to my skin. Everything just relaxes and drinks it in. The scent of this product is so beautiful and spa like that I have to stop my self from smothering my whole body in it! This night cream glides on like an absolute dream and sinks quickly into my skin leaving no residue or roll off. It does not stick to the pillow and is so cooling and feels fresh and light on the skin. 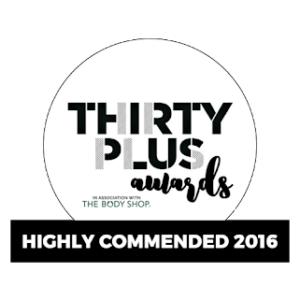 Perfect for anyone seeing those signs of ageing, or lack lustre skin that has lost its glow. This Oxygenating Night Cream is clinically proven to help with your skins natural regeneration process, ensuring you wake up with brighter, smoother skin. When I wake up my skin has a beautiful sheen, is soft, plump and hydrated. 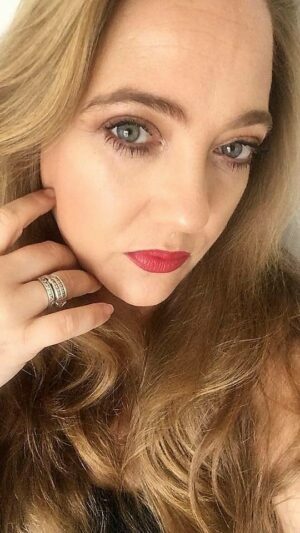 As I am getting older, I am 42 now, my skin can look grey really quickly, I find that when I use this on a regular basis it literally breathes new life into my skin and makes it look nourished and fresh upon awakening. Apply a pea sized amount to cleansed skin every evening. Warm between the palms and smooth over the face avoiding the eye area. Don’t take my word for it though…..try it! One of the things i made sure i did this summer, was keep on top of masking. Using Treatment masks is such a great way of really indulging your skin with incredible ingredients. Masks are a great way of absorbing impurities and restoring vibrancy, hydration and a bit of sparkle back into the skin. They are also a great way of taking that moment of “Me” time a couple of times a week to really sit back and relax. The Pro-Collagen Marine Mask (Previously known as Pro-Collagen Quartz Lift Mask) is perfect for smoothing, firming and nourishing the skin. I love to use this when i have had a busy week, maybe not been eating so great or drinking enough water and need to liven up my skin. Containing that super star active Padina Pavonica and a host of other plant based oils, this feels lovely on the skin. One big thing to remember with masking is to always apply on prepped skin. There is no point applying a beautiful mask onto dirty skin as it will just sit there and not penetrate through, so cleanse and if need be exfoliate your skin so it is ready. If you want to, you can apply your beautiful Pro-Collagen Marine Oil (mentioned above) first. Then, take a small amount, gently warmed in the palms and apply it over the face. It smells warming and comforting as you apply it and feels lovely and cooling. You may find, as i do, that your skin drinks it in if it is very thirsty, but that is ok, it is all good and doing what it is supposed to. You can sit back and relax for ten minutes and then remove with warm water, or apply as an overnight mask and remove in the morning. The results are astonishing. Immediately the skin feels super soft and hydrated and looks glowing and fresh and those pesky wrinkles and tired lines have filled out leaving the skin looking smooth. Though this is a small size you will get a good few masks out of it and it is the perfect way to try it in your usual skincare regime. This complete collection also includes a lovely blue cosmetics bag, which is easy to wipe clean and has a clear zipped compartment inside to see your products easily. 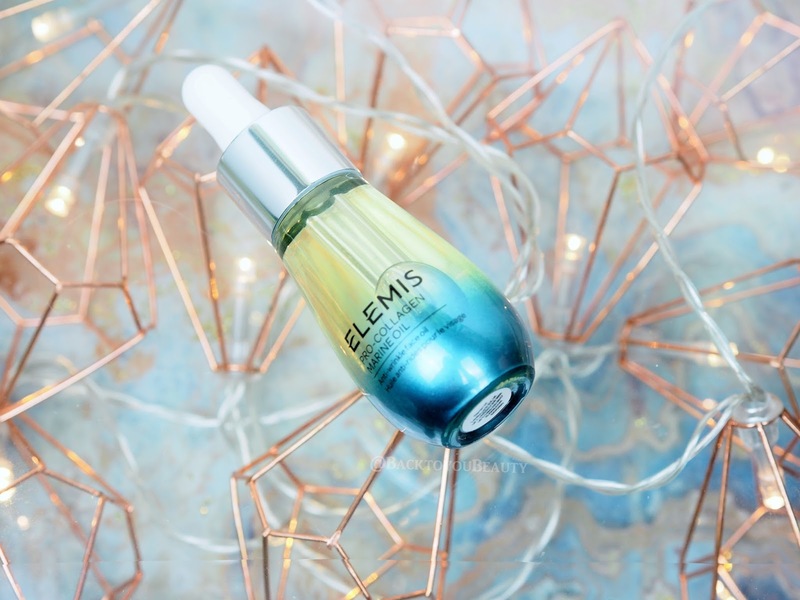 My thoughts on this collection – Full of rich Marine and Plant Actives the Elemis Pro-Collagen Real Results collection is that powerhouse of ingredients that works gently yet effectively at smoothing and reducing those fine lines and wrinkles. Obviously we are all going to age, we cant stop that process, but we can look after, feed and nourish our skin to give us that better chance at looking healthy and fresh as we do. Our skin is our biggest organ and it is up to us to look after it and i cant think of no better way than indulging in a little bit of luxury everyday. These products are so hardworking that no matter how stressed, busy or time poor we are, we all have a few minutes at the beginning and end of the day to apply our skincare. After all you wouldn’t forget to brush your teeth would you? This collection is wonderful to slot into your existing routine or great for anyone trying the Pro-Collagen range for the first time and is great for all skin types as it balances the skin beautifully. May i also recommend some additional products from the Pro-Collagen range that i love and think you will too? You can read more about the Pro-Collagen Cleansing Balm HERE and the Pro-Collagen Marine Cream HERE. This four piece Pro-Collagen Real Results Collection is exclusive to QvcUK as a Today’s Special Value airing on 17th September at Midnight, 11am, 1pm, 4pm, 6pm and 8pm. You can also purchase online HERE from 8am Thursday 14th September so please check back here then, when I will be adding the link to purchase, so you do not miss out on this incredible collection. This collection is worth £168.00 if bought individually and I can confirm it will be a fraction of that price! I adore how this makes my skin look and feel and I am sure you will too. I would love to hear your thoughts on this range! 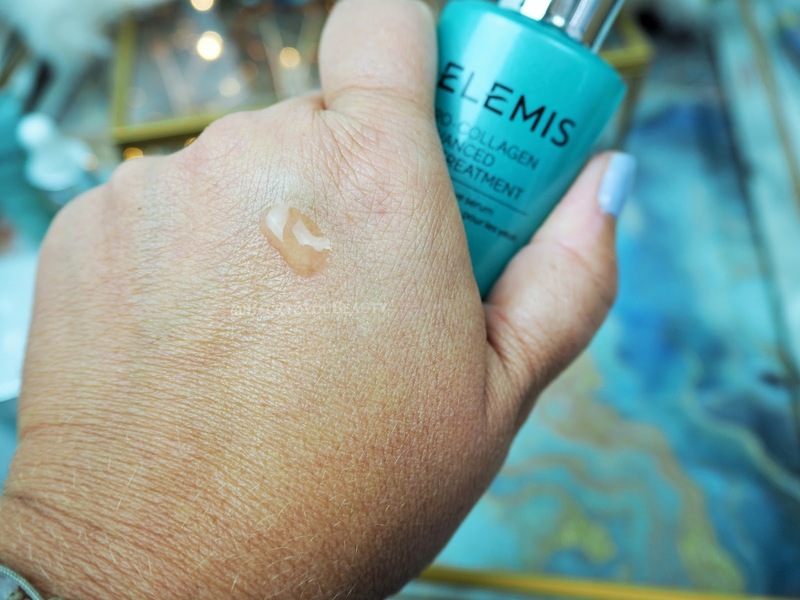 Have you tried Elemis before? Which are your favourite products? Do leave me a comment below! 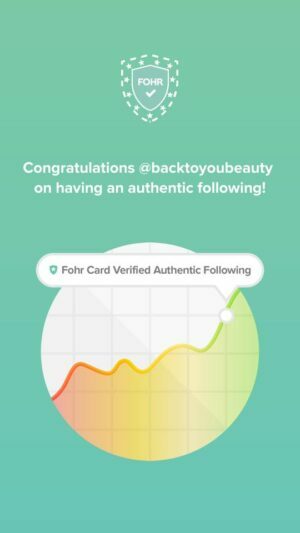 "Fenty Beauty Launches and Scratches that Beauty Itch!" Love Elemis. Can't wait for this set. Great tip about oil under a mask, I'd never thought of that before. That's on my 'to try' list. Thank you. You are welcome! It's available now! Link above! 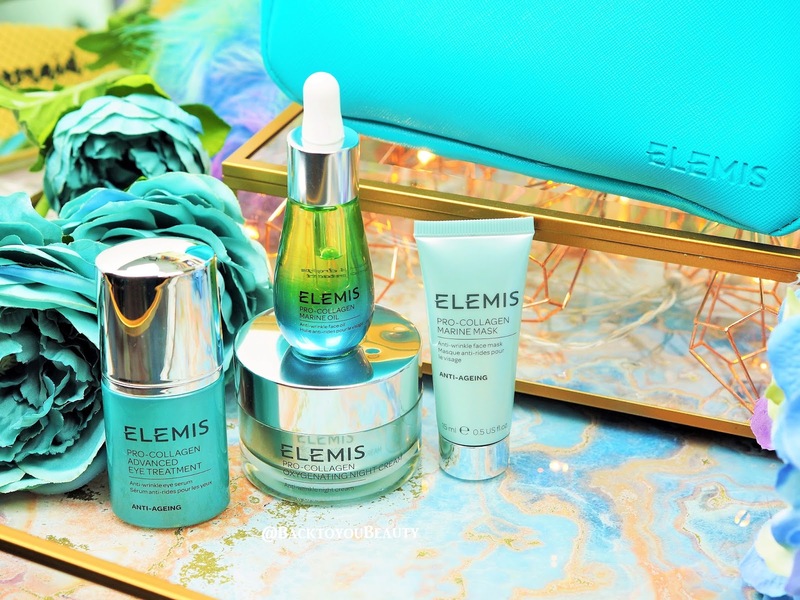 Elemis is one of my favourite skincare brands and I can't wait to try this collection. Loving the sound of the Pro-Collagen Marine Oil. Me too! It's available right now, link above!